Richard Lowth's views on the current property market. The X Factor is the “feel good” factor. Richard Lowth's current views on the local property market.
" Richard and Emily were so helpful throughout the whole process of the sale removing a lot of the hassle. They were flexible and considerate when arranging viewings and proactive about keeping momentum going throughout the chain. We would certainly use them again. A personal professional service. " " After 2 years and 3 attempts at selling our house we finally moved on 26th October all thanks to Richard, Janet, and Emily at Richard Lowth & Co. in Poynton. This had not been an easy journey for us especially as we were downsizing from our family home of 21 years but thanks to the professionalism, negotiation skills, and excellent communication by Richard and his team they kept our dream alive and thankfully everything work out fine. Having previously tried other agents in the area we can honestly say that Richard Lowth & Co. have their finger on the pulse in respect of knowing the local market and providing excellent customer service so would highly recommend them to anyone thinking of moving within the area, into Poynton, or as we did from Poynton to Disley. " " I cannot praise Richard Lowth and his team enough! Richard valued the house and asked a competitive fee for his companies service. 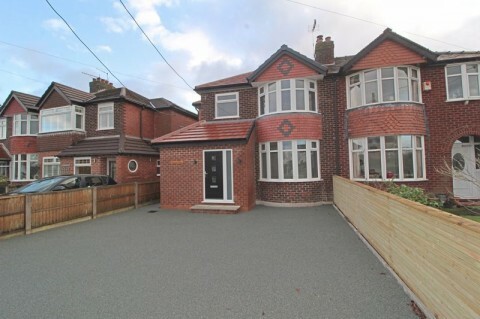 The pictures and property description were very complimentary and from that point the Cheadle Hulme office had the whole process from viewings to a swift sale in no time. Thanks to Emily and Janet for professional yet always welcoming friendly advice throughout. " " From the outset Emily was superb. Nothing was too much trouble for her and for one so young her knowledge was remarkable. The advice she passed on regarding the property we were purchasing and the later involvement of Richard when negotiating the price was invaluable The last few weeks as every one knows when buying or selling a house is so stressful that you wonder why you put yourself through it. We cannot thank the team enough for all they did and would reccomend them to one and all who are thinking of buying or selling a property. " " This was the second time I have used Richard Lowth as an Estate Agent. The first time I bought my property through his company and was so pleased with his professionalism and calm pragmatic approach, that when I came to sell 5 years later, I did not even approach any other Estate Agents. Buying and selling houses are stressful events in terms of logistics, emotionally and the uncertainty of financial implications. I must say that on all fronts Richard and his team\'s advice were superb. I have moved houses 7 times around different parts of the country and have never found such a pleasant and professional company to deal with. Emily and Janine were organised, well informed and in complete control of the chain, which did throw up some surprises late in the day (via Solicitors). Richard's knowhow won through and saved what would have been a 6 week delay in completion. I have no reservations whatsoever in highly recommending Richard Lowth & Company and would encourage anyone thinking of buying or selling their property to give them the opportunity of representing them. " " Selling our home was made stress free by Richard Lowth's very professional and friendly team. We would strongly recommend Richard, Janet, and Emily to anyone considering a move. " " We highly recommend Richard Lowth for their proactive approach to the sale of our home. They have good knowledge of the current market and enabled us to sell our house quickly and for a fabulous price. Good communication and professional at all times including invaluable advice and guidance throughout the selling process. Will definitely use them again in the future. Thanks again. " " Very professional team which are extremely understanding mixed with humour. Just a fantastic estate agent and would highly recommend. It is impossible to praise a particular staff member as they are all brilliant. " " I recently completed the sale of my mothers' home. The whole process from start to finish was stress free as Richard and Emily handled all the viewing arrangements. Richard lined up prospective buyers over two weekends. A buyer was found within nine days ! The service I received was second to none. Richard and Emily were at all times very professional, helpful and friendly. Nothing was too much trouble. The Lowth family business was recommended to me by a friend and I would not hesitate to recommend their services to others. " " I recently sold my house with Richard Lowths Cheadle Hulme branch. I can't praise them enough! Having used local estate agents for previous house sales, I found it so refreshing to find a company that truely cared and guided me through the whole, sometimes tortuous process! Any question or concern I expressed (even the ridulous ones) was always met with politeness, understanding and reassurance. In particular, at a crucial time in the process, when we were trying to confirm exchange and completion dates, it was Emily and Lydia who doggedly persued the solicitors and my buyer, to try to get things sorted. They were great at keeping in touch and passing on any news. I would definitely used Lowths again, and would recommend them as a great family run outfit that knocks spots off the local competition! " " As a Chartered Surveyor with significant experience of the residential market I have been very frustrated over many years with the lack of regulatory control around the whole process of buying and selling through an Estate Agent for the average consumer. I aknowledge the existence of the NAEA but think their influence and control must go much further for this industry to improve and for consumers to experience value for money and a basic level of service. However, having said all that, I have recently been very pleasantly surprised during the process of buying and selling in Poynton. There is a local agent 'Richard Lowth and Co' who is bucking this trend. Richard and his team offer a personalised service and actually take the time to fully understand the customers specific requirements. The team are very approachable, friendly, and seem to be appreciative of the stresses and strains that buying and selling property can create. Our particular purchase was not straight forward but we felt in good hands throughout. Well done to you and your team for the job you do - keep up the good work! " " Richard and the whole team were great from beginning to end in handling the sale of our property. It wasn't easy for us to do the viewings ourselves with us both working and a 4 year old running around at the weekends so they completely took this aspect out of our hands for us. They always kept us updated with the viewings and how they went and we felt they provided honest and helpful feedback and advice. Richards great local knowledge was especially useful and he was more than happy to spend time giving me detailed advice on our purchase property (even though it was being sold by a different agent). Overall a very friendly and warm team - never pushy. I'd recommend them to anyone "
" We chose Richard Lowth as he is an independent agent with very good local knowledge and a well located office. 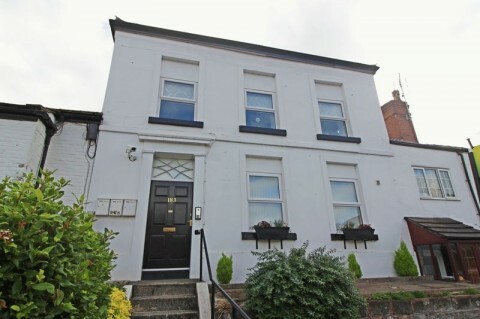 From Richard's first visit we felt confident in using his agency to sell our house. His skills are backed up by excellent staff. They did the majority of our viewings and always followed these up with the viewers and passed on the feedback to us. When we had a buyer Richard negotiated on our behalf and we got the price we wanted for our sale. Richard personally phoned us regularly to update us with how the sale was progressing and contacted the other agents in the chain to keep things moving as we had a deadline date to exchange by. Buying and selling houses can be very stressful but Richard and his staff helped to alleviate the stress. They were always pleasant and helpful. We would definitely use them again and recommend them. " " We would like to thank you and all your staff for the excellent service that you and your staff provided during my Mother's recent sale and purchase.The service you provide was friendly, efficient and beyond what we expected. To quote a cliche you really do go the extra mile and we would have no hesitation in recommending your agency. " " The service has been first-class throughout. I think there were about 10 – 15 viewings in a couple of weeks, all of which were followed up. I think my old neighbours have only had a couple round in all the time their house has been on the market. The sale was made quickly. I also appreciated that emails or phone queries were dealt with promptly. " " Thank you for your ministrations along the way, not least those of your excellent staff too. I sometimes thought I may have been a nuisance with my concerns but I always had a sympathetic hearing when I called in. Heaven forbid that we will have another move in the future but if we had to do so again, have no fear, you would get the job! …. or maybe first refusal? "